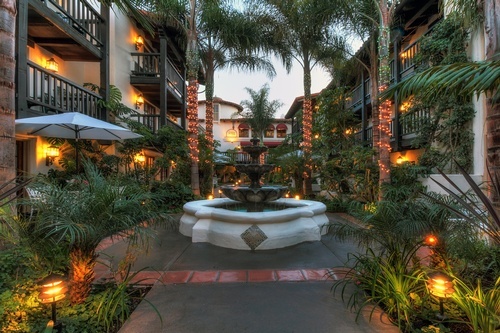 Enjoy the most charming and affordable seaside accommodations in Santa Barbara. 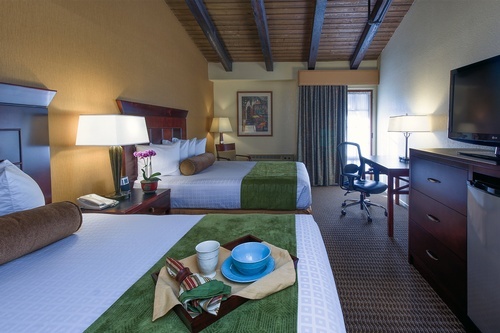 Only a short stroll from “the world’s safest beach” in lovely Carpinteria, this hotel brings Santa Barbara’s shopping, award-winning cuisine, historic sites and outdoor adventure right to your doorstep. This classic Spanish-style property has been outfitted with an array of first-class amenities, including a fitness center, heated outdoor swimming pool and hot tub. 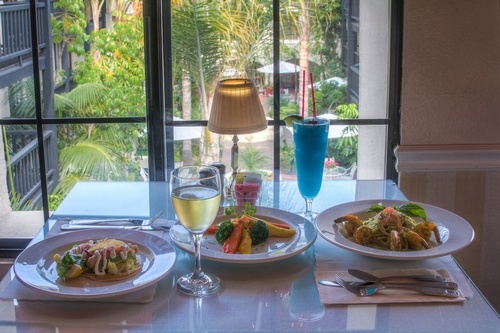 Grab dinner with friends or network with colleagues at the on-site restaurant, Sunset Bar & Grille. 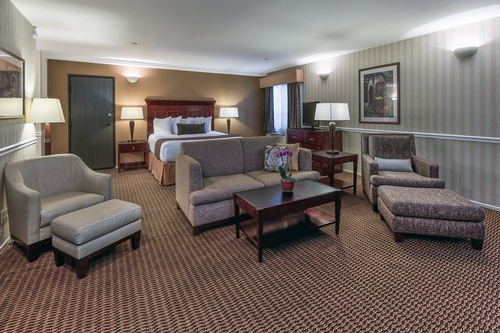 Unwind after a long day in the lush tropical courtyard – a perfect place to curl up with a book or check emails using the complimentary Wi-Fi. 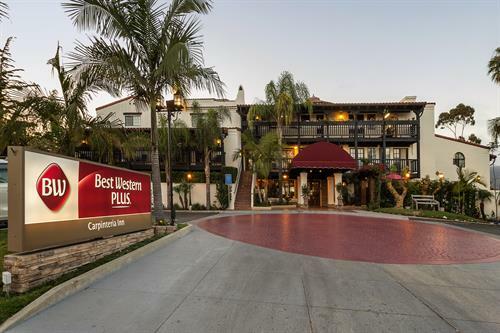 Whether you’re visiting the Santa Barbara area for a romantic weekend or a productive business trip, you won’t find a better value than BEST WESTERN PLUS Carpinteria Inn. 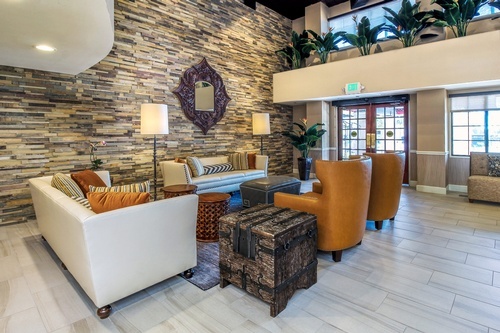 Heading north exit Santa Monica road, turn right at the stop sign, turn right on the next stop sign, go over the freeway and hotel is on your left side. Heading south exit reynolds.